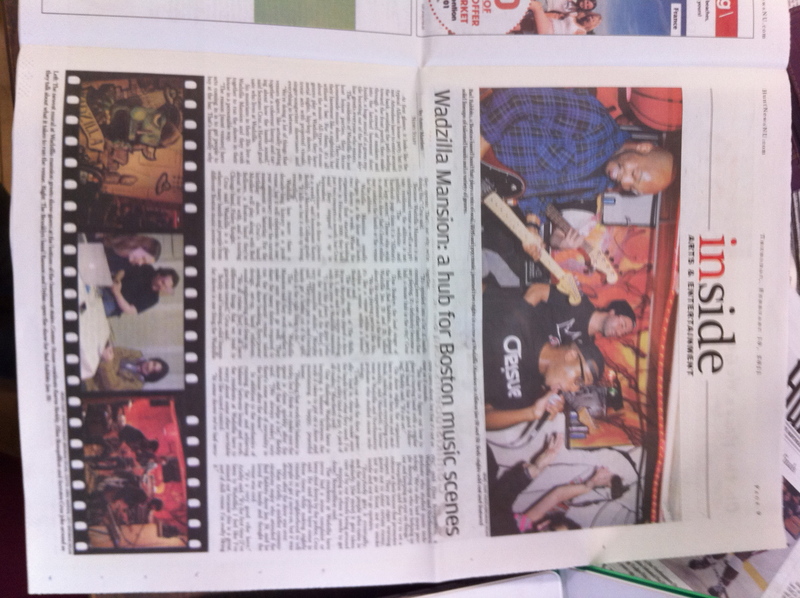 This is a feature article I wrote about an underground music venue in Allston. It includes a video, which I contributed to, as well as a photo slideshow. At first glance, it looks like the typical Allston house party, but it’s not. Attendees have to walk around the back, avoiding the path leading toward the front porch, then snake through a crowd of smokers and into the latched basement door. Inside, a huge mural of a green reptile bursting out of the Boston skyline greets everyone who enters. I also wrote a follow-up story on this one week later, when the venue was shut down by the City of Boston for illegally operating. Just four days after Wadzilla Mansion’s one-year anniversary show, the DIY basement venue announced the city of Boston notified its landlord of a building code violation: Failure to secure a permit to operate a live entertainment venue.